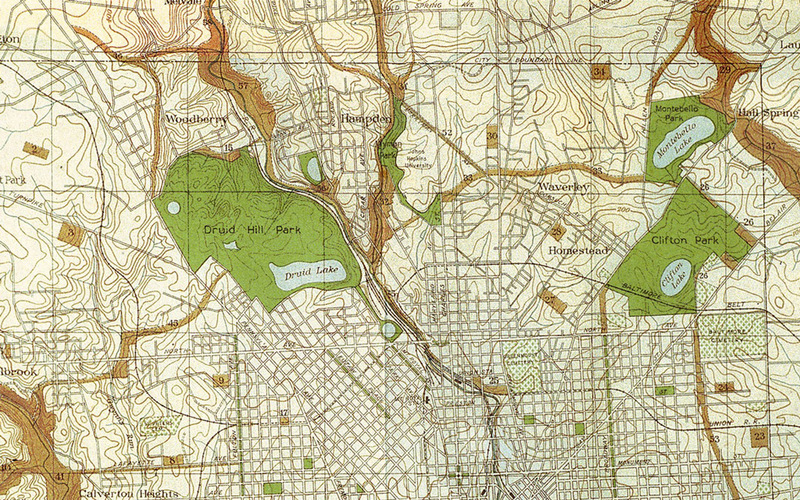 Excerpt from the map of the 1904 Olmsted Report. The Board of the Friends of Maryland’s Olmsted Parks & Landscapes affirms its strong support for Baltimore City Council Bill 14-0453 to designate the Olmsted Parkways—The Alameda, 33rd Street, and Gwynns Falls Parkway—as City Landmarks. 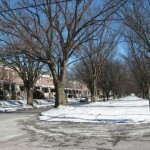 Baltimore’s principal east-west parkways represent a 100-year-old heritage, fulfilling the vision of the Olmsteds and the city’s planners and civic leaders to provide a green corridor connecting parks, afford green spaces for neighborhoods along the route, and contribute immeasurably to the quality of life for Baltimore’s citizens. These are not simply tree-lined roadways, but important linkages in Baltimore’s comprehensive park and parkway system. The accompanying statement provides commentary on the role of the Olmsteds in the planning of Baltimore’s parkways and the subsequent history of the parkways over the succeeding century. 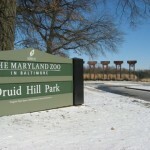 As an organization committed to recognition of the substantial contribution of the Olmsteds in the planning of Baltimore’s landscape, in which the parkways were a key element, the Friends of Maryland’s Olmsteds Parks & Landscapes believe enactment of this bill is imperative to assure that the Olmsted Parkways receive the acknowledgment, protection, and enhancement that they deserve. 33rd Street, an Olmsted-designed parkway. Thank you for a great year in 2012! Would anyone know the answer to this question? 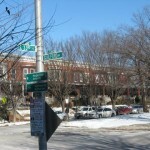 The part of Gwynns Falls that runs between Forest Park Avenue and the bridge at Gwynn Oak Avenue has park land on both sides. Baltimore City will mow the park on the Purnell Drive side but claims the Cedar Drive side belongs to Baltimore County. Someone in our family has lived on the property on Cedar Drive since January 1942. It has been the family ‘spring joke’ that for over 50 years a battle of phone calls has to take place to get the park mowed. My family and others on the street have been great caretakers of that land for many years picking up the abundance of trash that litters that park; however, that is impossible with the threat of Lyme disease. Then it becomes an ongoing problem as the grass gets longer ( a definite code violation if it was on private property) and more trash accumulates people seem to think it is an OK place to dump trash. PS If the city does not own the Cedar Drive park why did they just plant 41 trees this spring, which are beginning to disappear since the grass is so high.